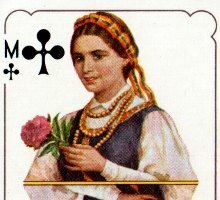 The beautifully designed court cards depict Lithuanian national heroes with their consorts and attendants in national costume, whist the four Aces illustrate important national monuments. The name of the designer is not known. 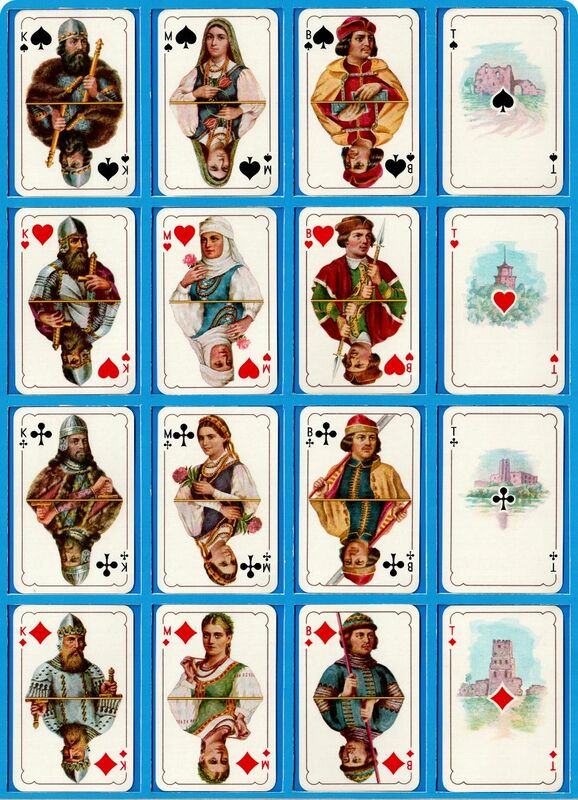 Above: Istorinės Historical Deck from Lithuania manufactured by Spindulys Playing Card Manufactory, Kaunas, c.1930s. Images by kind persmission Albinas Borisevičius.